It looks like the Information Technology & Innovation Foundation has nominated NRA for a Luddite Award? Why? For opposing smart gun technology. I doubt that ITIF really understands the issue very much, or even comprehends the opposition. It just seems backwards to them, probably. Who could stand in the way of such progress? I had never heard of this outfit until I found this, but I’d encourage folks to go vote for something else, lest our opposition get to make a media story out of it, to help their efforts to shove smart gun technology down everyone’s throats, whether the market wants it or not. As a technology worker, I’m getting really tired of people in technology opining about things from a position of ignorance. But we’re dealing with a DC based K-street think tank non-profit, and if you look at a few of the backgrounds of the key players, they aren’t real tech people. These are a bunch of DC insider types. NRA deserves the award, but not for opposing “smart guns.” Their use of tech to organize and push a legislative agenda has not changed much since I first complained to them back in ’95. As a someone who’s into guns and has a tech background, it’s that very background that makes me vehemently opposed to smart guns. I spend a large part of my job figuring out how to work around the failings and limitations of technology. When it comes to whether I can stop a threat or not, I want it to be about springs, levers, ratchets, and other time-tested technologies. Exactly! Same boat here: I’m into guns, and have a tech background. The more “moving parts” you introduce, the more potential points of failure you have. 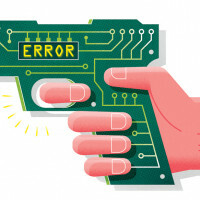 “Smart guns” take the traditional points of failure in firearms (springs, levers, slides, etc.) and add computers with locked-down (non-user-accessible) programming. Each part of the hardware is a potential failure (battery, wiring, chipset, whatever “reader” they use [RFID, biometric, etc. ]), and every software/firmware function or routine is another potential failure. Without seeing the source code (locked-down, remember), I can’t give a number, but I’d “guess-timate” that the number of “moving parts” (and therefore the number of potential points of failure) in a “smart gun” is at least triple or quadruple that of a conventional semi-auto firearm. Agreed, plus I would add: not to mention they could be hacked. I’d pick between states disallowing Tesla stores, the French Gov’t disallowing Amazon from offering free shipping on books, Free Press working to prevent broadband network improvements, and states disallowing ride shares. I tend to lean towards the third (broadband) and fourth (ride share) options, just because they’re not limited to one company/corporation (though that could just be how the options are worded), but all of them except the NRA one actively prevent someone (or several someones) from implementing and benefiting from their ideas and innovations. Again, I agree. But I voted for the Tesla one. What do you have against coal-powered cars? I voted for Vermont requiring GMO food labeling, partly because I was very surprised to see it on the list. But calling the NRA “Luddites” is a good one. Which group thinks we should be limited to using muskets? I wish you had talked to actual firearms experts before accusing the NRA of being Luddites. The fact of the matter is that innovation drives the gun industry, innovation is demanded by customers in the industry, and the industry enthusiastically news technology. Like the industry that supports it, the NRA is technology-friendly. You need to look no further than how the industry has embraced TrackingPoint, a technology aggregator that has created a Linuxed-powered series of smart guns used for precision long-range rifle shooting. The technology is impressive, and I’ll be shooting these (and other) technologically advanced firearms systems at SHOT Show in Las Vegas in six days as a representative of the media. 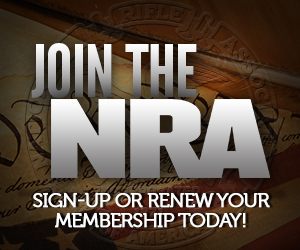 The system has even been featured in NRA magazines, which, by the way, also publish stories involving technological advances in firearms, optics, ammunition, range development and remediation and reclaimation, etc. Technology is a key driver in our industry… an industry your organization seems to know very little about. Likewise, the gun industry has not opposed smart gun technology options offered by any number of foreign and domestic vendors. What we’re opposed to are false promises and technological “innovations” that actually pose more problems than they solve. That is a matter of safety. When it comes to smart guns, there has been one product only that the industry has been ideologically opposed to in any large degree, and that is the Armatix iP1/iW1 gun/watch combination. That has been an end-user complaint; the NRA itself has largely avoided comment in the public debate. The NRA’s position has been to let the market decide. As one of the foremost critics of the Armatix system, I can tell you that opposition of the system came down to two primary points. The first point is that Aramatix’s watch/gun combination isn’t remotely “smart.” It will allow ANYONE to fire the iP1 pistol if they are within proximity of the iW1 sensor. It’s a false promise that could lead to the very deaths it claims to want to protect against, by creating a false sense of security. A judge in New Jersey reached the conclusion that it was not legally a smart gun, ruling it is merely a proximity system. Purely as a matter of function, it is fragile, under-powered, and unsuited for the role the designer claims it is designed to fit. In terms of self-protection it is actually several steps BACKWARD. Perhaps you should have nominated Armatix for the award instead? The second and arguably more serious complaint against the Armatix system is that the company owns a patent on a technological back door that would allow a centralized entity–for example, a government–to shut down every Aramtix handgun remotely. I would have thought that a foundation that claims to represent “smart ideas” would be against the ability of governments to strip citizens of basic human and constitutional rights without due process. I’d never heard of your foundation until today, and perhaps your inclusion of the NRA on your list was merely a plea for attention. What you’ve served to accomplish is to point out that you don’t do basic research, and that you don’t engage actual experts before you make decisions. Love it, Bob! Well done! You forgot to include the main reason that most people hate this gun is that it threatened to trip the NY law that would outlaw the sale of normal firearms. If it was not for that law (and others like it), the Armatix would be a forgotten footnote. You forgot one thing Bob: You should have mentioned the NJ law that requires all handguns sold in NJ to be smart guns 2 years after the NJ AG determines even one model is commercially available anywhere in the United States. Of course the police and military are exempted from that requirement. I’m not necessarily against smart guns per se. I’m against them being *MANDATED* for non-governmental owners. Missed this comment. But yes, exactly this.